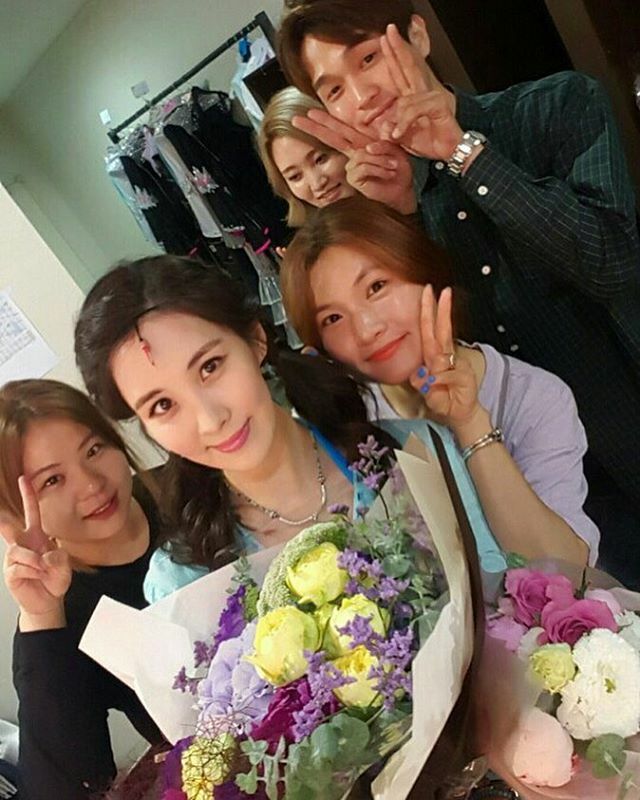 SNSD's SeoHyun playing the role of Sophie in the musical titled 'Mamma Mia' was a big success! Last night was her final performance and here she is thanking all her friends and fans who supported her from start to finish. Thank you from the bottom of Hyun's heart 😙I love you ❤"
"We were really really mom and daughter..Our Jungwon Donna mom and daughter Seophie's commemorative photo♡You don't know how thankful I was because you always gave me advice and gave me a lot of compliments~~ㅜㅜ I was really, really thankful~ Mom~~ Hehe. 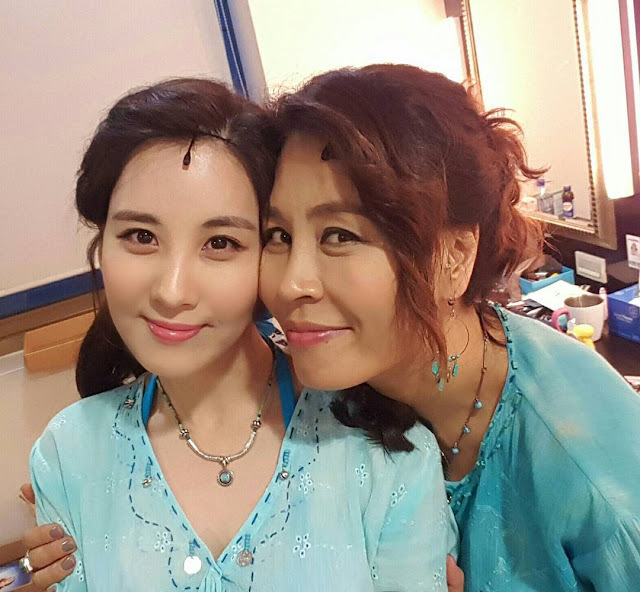 Mom is the best!❤"
"You must've been very busy.. but innocent, down to earth and charming Sora unnie who came to watch the performance~ Hehe. Thank you so, so much~ Unnie is the best 👍 Really! !💕Sometime soon~~ Let's go delicious things again~ Hehe." "Joonsoo father!! Lee Jonghyuk sunbaenim~~ Heh.Thank you so much for coming to watch Mamma Mia~~^^ I'll be sure to go watch Broadway 42nd Street~! Hehe." "I was really surprised!! 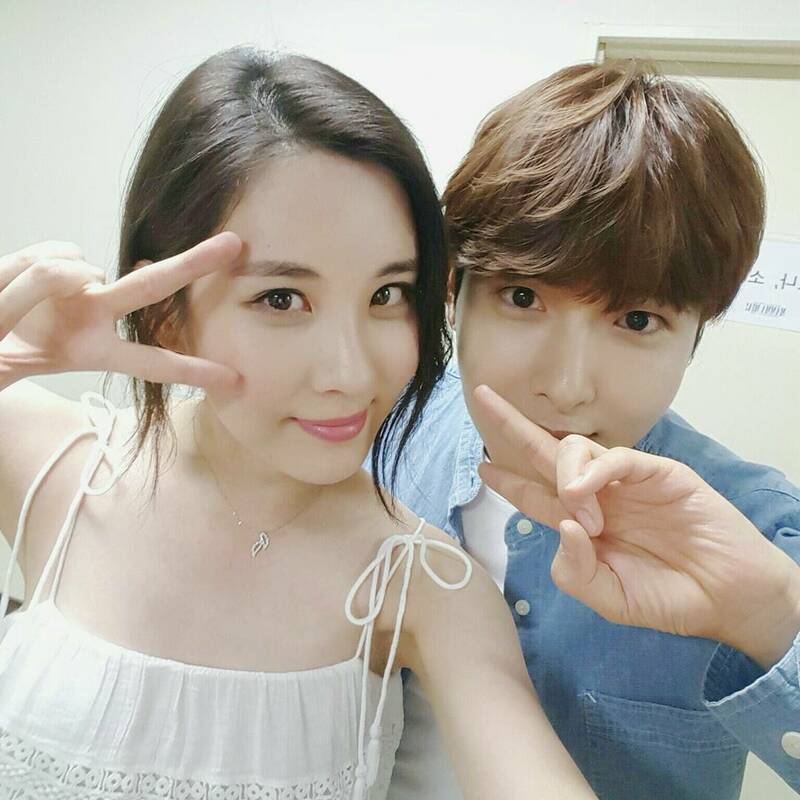 Hehe.Ryeowook oppa who came to surprise cheer me on with his mother~~^^ Thank you so, so much, really~ㅜㅜ Next time, please tell me~~ㅠ Heh. If oppa does a musical again, I will make sure to go watch it 😄 Ryeowook oppa fighting!! Hehe." "Mamma Mia!!! 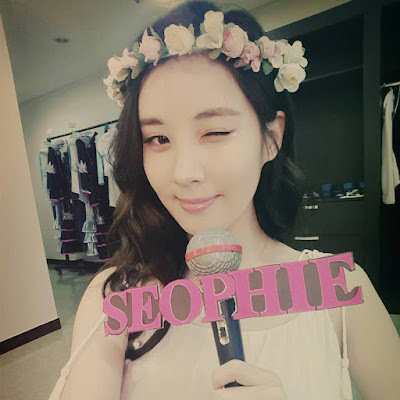 !♡Today we finished Seophie's last performance~~^^Our Mamma Mia family's happy energy!!! Can't you feel it very well through the photo~?? Hehe. I'm very thankful to all of our Mamma Mia family who treated me so kindly and warmly during the truly long rehearsals and during performances in an always bright and energized mood.. And I love you ♡Fighting for tomorrow final performance in Seoul! !^^Mamma~ Mamma~ Mamma Mia!!! !❤#ILoveYouMammaMia"
Thank you so, so much~ I love you ♥️"